Welcome to R.E. Erickson Co., Inc.
R.E. 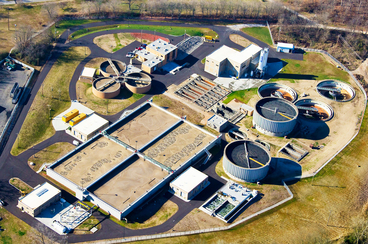 Erickson Co. is a full service Systems Integrator specializing in the Water and Wastewater Treatment industries. We have been providing instrumentation and control solutions for over 60 years! R.E. 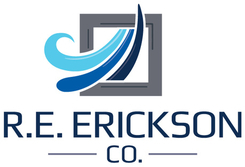 Erickson Co. can provide the solutions and services you need. We are proven, trusted, and well established organization that offers extensive experience in the design, implementation, and maintenance of your control systems. We are an independent Systems Integrator, not aligned with any single product vendor allowing us to offer independent, knowledge base solutions for your particular application. We call this technology independence. Our goal is to provide the best product solution to fit our customer's needs and the particular process requirements using the best available and most reliable technology. We provide a sole source of system responsibility from design, building, testing, startup and commissioning of your control system. Our service and support commitment to our customers is genuine and proven. We have the resources to provide large complex systems while providing small company responsiveness. No job is too big or small. Our knowledge and experience in the industry we serve allow us to take a practical approach to providing products and solutions. R.E. Erickson's "Can Do" philosophy, quality work, experience, and dedication to customer satisfaction make us your best choice for your Systems Integration and Instrumentation Supplier. R.E. Erickson Co., Inc All Rights Reserved.